The molecular mechanisms of inflammation involve a series of processes that start as extracellular signals that interact with membrane-bound receptors, cell signaling cascades, nuclear factors, and epigenetic enzymes that activate a specific gene expression program. Environmental factors and/or genetic defects can result in constitutive activation of this program. Recent studies highlight the relevance of epigenetic (dys)regulation in these processes and suggest several implications of these mechanisms and alterations in the clinical management of patients with autoinflammatory diseases. 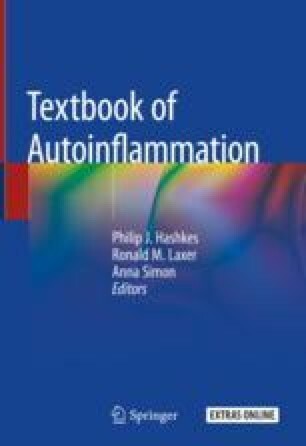 In this chapter, we provide an overview of the latest findings related to the epigenetic control in the function of myeloid cells as main effectors of inflammation, as well as the latest findings in the field of autoinflammatory diseases.